Find Charlotte, NC Condos for sale. View Photos, Maps and MLS Data Now! All the updating has already been done; tankless hot water heater, new HVAC, new windows, new kitchen appliances, new, new, new…..all you need is your toothbrush! MLS#3493677. Dickens Mitchener & Associates Inc.
Open floor plan with large kitchen, spacious living areas, a large master with walk in closet, spacious secondary bedrooms. Nice flat fenced back yard. MLS#3497889. Cottingham Chalk. And with Harris Teeter directly across the street, you won't have any problem dealing with parking/ shopping. MLS#3489701. Savvy + Co Real Estate. Come visit! You won’t be disappointed! MLS#3496881. Keller Williams South Park. Richmond Hills - And, can even see the Uptown Charlotte skyline in late Fall! Hurry! MLS#3497798. EXP REALTY LLC. Take advantage of the location with easy-to-get-to bars, restaurants and shops! MLS#3493661. Keller Williams South Park. The Arts District - Washer dryer and stainless frig stay! MLS#3488533. My Townhome. Washer/Dryer included. Also available for rent. MLS#3497852. Ram Realty LLC. Move in ready from top to bottom. Refrigerator, washer & dryer stay. MLS#3482890. Keller Williams University City. Fridge, washer, dryer included in SP MLS#3498013. Clickit Realty. Visit www.600WalnutAveUnit1.com for full property website. MLS#3497720. Keller Williams South Park. Whole house has fresh paint and new flooring. MLS#3497228. Keller Williams South Park. 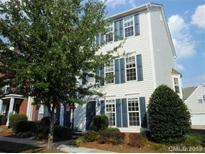 Copper Ridge - Minutes from Ballantyne, Blakeney, Stone Crest and Carolina Place Mall. MLS#3496226. My Townhome. Berkshire - LICENSED NC REAL ESTATE AGENT HAS EQUITABLE INTEREST, MUST CLOSE WITH HARRY MARSH LAW, CLOSING WILL EITHER BE A DOUBLE CLOSE OR AN ASSIGNMENT OF CONTRACT. Please do not disturb tenants. MLS#3498138. Legacy Real Estate Services LLC. Minutes to Northake Mall, restaurants, the hospital, I-77 & I-485... ~ Schedule your showing before it's too late ~ MLS#3497768. 7 Star Realty LLC. Plenty of Visitor Parking throughout. Community Pool and Tennis Courts. MLS#3493970. Allen Tate Steele Creek. Buyer to determine square footage. Information taken from tax records. MLS#3497769. Carolinas Metro Realty. Columbine Court - Make this south park beauty yours while you can! MLS#3496748. Dane Warren Real Estate. Act fast, this one will not last long! MLS#3497283. Helen Adams Realty. This gem will not last long! :-) MLS#3497411. Rawson Realty, LLC. No showings until Tuesday, April 23rd. MLS#3488118. Puma & Associates Realty, Inc.. Hurry and see this one before its to late! MLS#3497556. RE/MAX Executive. Ridge Road Villa - Home comes with a 30-day buyback guarantee. Terms and conditions apply. MLS#3496903. Opendoor Brokerage LLC.